First and foremost, decide what your subject will be. 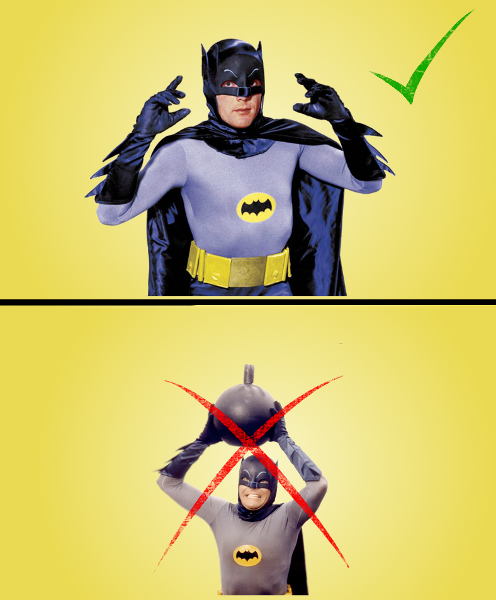 I've always had a love for the Adam West version of Batman. So, what weighs six ounces, sits on my desk, and is dangerous? The finished product of this craft. Now, gather the supplies in your utility belt and let’s get rolling like the Batmobile! 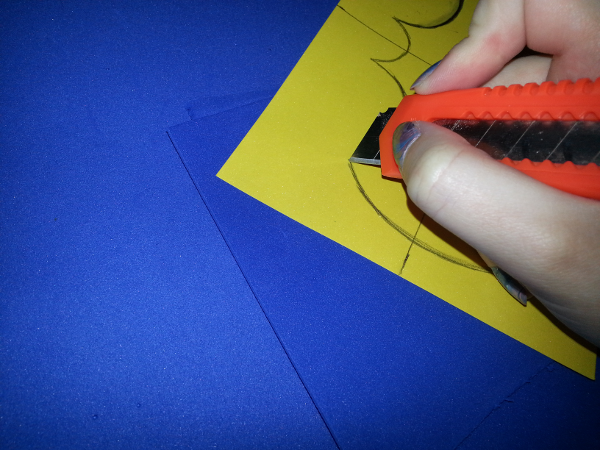 To get started, you’ll need to cut the scrapbook paper down to the size of your frame. Either trace the size of the glass on your paper, or measure it. You could use any kind of colored paper, but I prefer scrapbook paper because it’s durable and comes in a variety of colors and textures. Once you've done that, you need to trace out your design on the back of the paper. Make gridlines if this helps. Remember to sketch a vertically flipped version of the design if the one you've chosen is not symmetrical. My bat symbol made this easy. Cut along the sketch lines with the X-acto knife or a circle cutter; make sure to have something under the paper that is durable. The first time I dealt with cutting through paper, my tabletop ended up slightly resembling the Joker’s face. Generally, I place a layer or two of craft foam that I have sitting around underneath. If the edges are rough when you’re finished, just smooth them out a bit with something rounded. Next, to get your picture adjusted and printed. 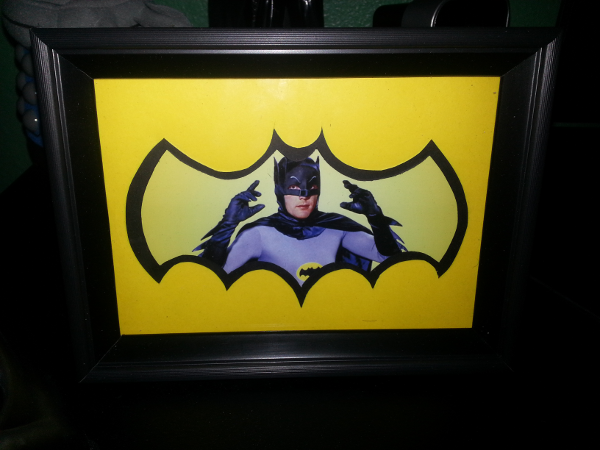 I couldn't find a good plain Adam West for the layout I was making. 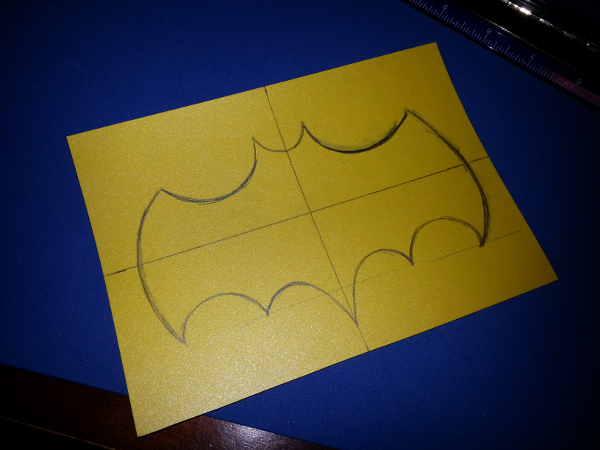 Resize or crop to what you think will work with the shape of the cutout you just finished. After you've found the chosen one, print it out! I've found that 4 x 6 prints sometimes work for 5 x 7 frames with a little positioning because of the cutout. Almost done! 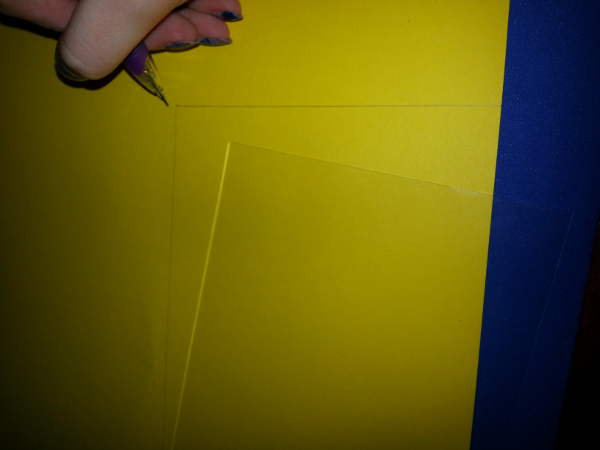 Tape or glue your picture to the cutout. I like tape since you can re-position it if you don’t like the setting or even change the picture; however, if you do this keep in mind that the tape may leave residue, so try to make sure it’s at the edges where you can remove it if needed. 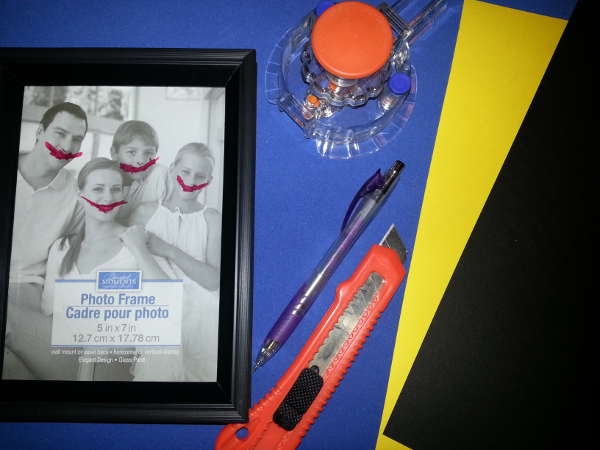 You may need to snip off some edges if they spill over the paper so that it can fit in the frame. Finally, place it into the frame and voila! You've got a new addition to show off your nerd passion. Even now, Batman is sitting beside me, watching on as I type. I may or may not wink at him from time to time while I’m being productive. As always with crafts, don’t be afraid to expand this idea! Put your own art in the cutout instead of a print. 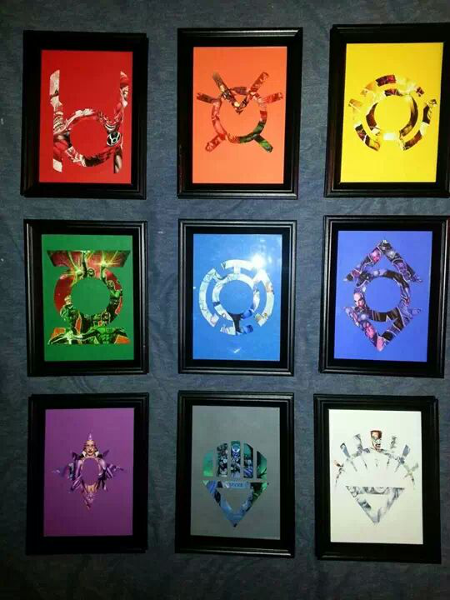 I made a set of these involving each of the Lantern Corps. I’d love to know what you come up with!